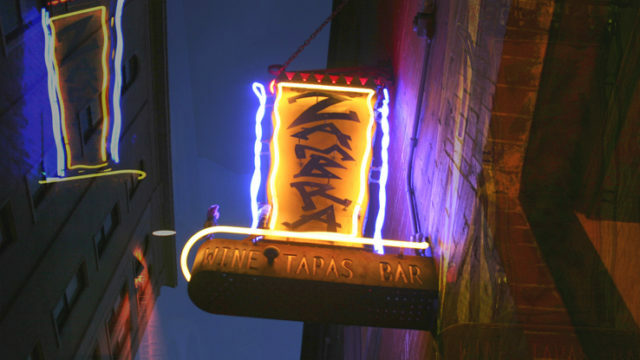 Zambra and Light Fantastic Neon both began in 1999.. As the Zambra interior build was nearing completion by the brilliant Douglas Madaras, Hector Diaz ( chef-god ) decided his sign needed something more… Neon!! 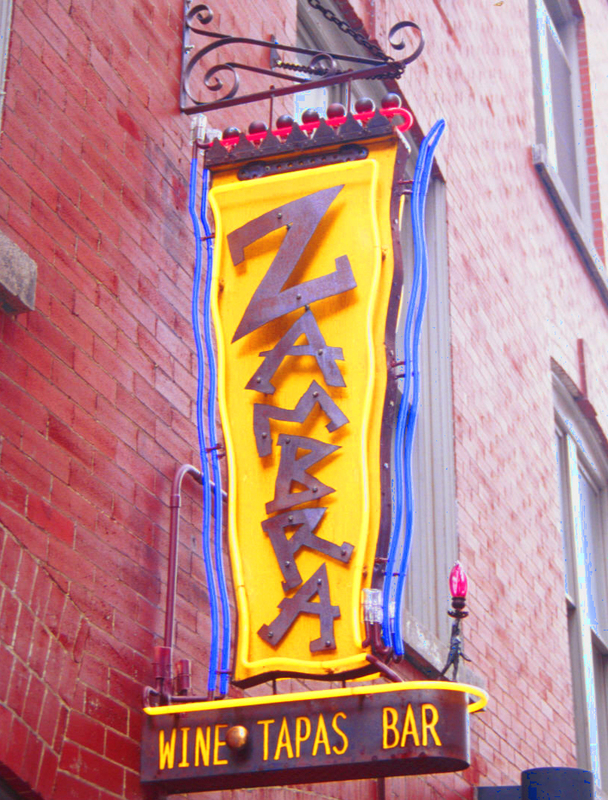 The body of the Zambra sign had been designed and fabricated by Douglas. Usually neon is built into a project from the beginning. Sanford, being young and invincible welcomed the challenge of retrofit. 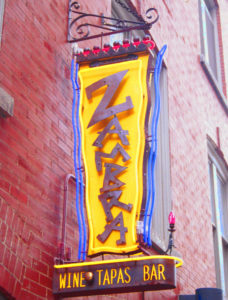 Classic Cobalt, Ruby Red, and Novial Gold neon tubes were created to best accent the eclectic sign. Sanford and Douglas built the “WINE & TAPAS BAR” torpedo to house two 10,000 volt transformers……. The Zambra experience has been heralded by the likes of The New York Times, The Los Angeles Times, and The Boston Globe…. Patrons traveling from afar and locals alike are captured by neon & rust… Allured into Zambra!